Fast responses and exceptional customer service. A reputation for excellence with an A+ rating from the BBB. We are also happy to offer Free Estimates! Do you have a roof that is leaking or showing other signs of major damage? Seawright Roofing is Midlands' Owens Corning Roofing Platinum Preferred Contractor and provides the quality roof replacement and roof repair you need. Our team of well trained roofing experts are familiar with all types of roofing materials and common problems. When you give us a call we'll send our team to inspect your roof, analyze the damage, and then propose the solution that you need, whether that be repair or replacement. Of course the best way to deal with roof problems is to prevent them in the first place. That's why we always suggest regular roof inspection and maintenance. When you get a roof inspection from our team then you can count on us to look carefully for any signs of damage or potential damage. This will let you save money by avoiding expensive repairs and damage later down the line. Do you need any of our roofing services? Give Midlands' trusted roofing contractor a call at 1-803-828-4181 or reach out to Seawright Roofing online to schedule your free estimate! There is no shortage of roofing contractors in Midlands. However, few roofing contractors are Owens Corning Roofing Platinum Preferred Contractors with a reputation for excellence and exemplary service. As an Owens Corning Roofing Platinum Preferred Contractor we are proud to provide Owens Corning's incredible line of roofing products and to be recognized by the manufacturer as meeting the highest standards of quality. As an Owens Corning Roofing Platinum Preferred Contractor we meet their strict standards for professionalism and craftsmanship. This status also allows us to offer their highest tier of warranty. 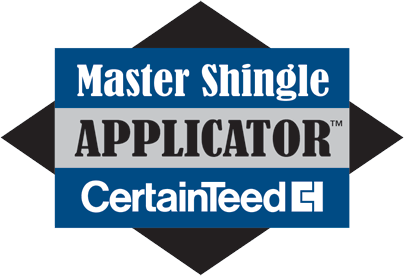 We're also a CertainTeed Master Shingle Applicator and a BBB A+ rating accredited contractor. When you work with us you can count on us to stay true to our mission to provide our customers with the highest quality of professionalism, honesty, and craftsmanship; from providing a quote to executing the contract, we proudly stand by our work with our extended warranty. When you work with Seawright Roofing you can count on "Roofing the Wright Way!" Schedule your free estimate today! We can help with your damage claim and fix your roof with materials proven to last.